Louis Keppler, MD, has over 30 years of experience in orthopedic care and surgery, which he brings to his practice, Dr. Louis Keppler & Associates, in Independence, Ohio. Dr. Keppler is certified by the American Board of Orthopaedic Surgery and his clinical practice is broad, encompassing sports medicine, spinal reconstructive surgery, scoliosis surgery, and joint replacement. In fact, Dr. Keppler's dynamic professional practice includes serving as medical director for the Cleveland Indians from 2000 to 2004, and he has been a team orthopedic surgeon with the club since 1991. But every patient who walks through his doors can expect the same individualized service and attention to detail. 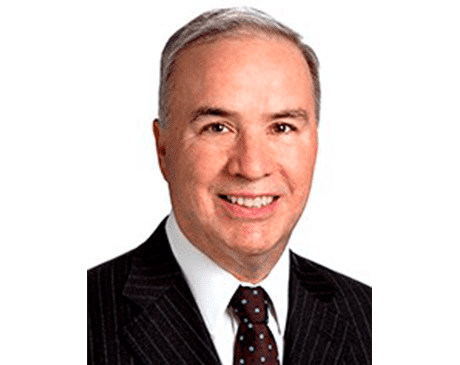 Dr. Keppler received his medical degree from the St. Louis University School of Medicine in St. Louis in 1978 and completed his internship and residency at the Cleveland Clinic Foundation in Ohio in 1980 and 1983, respectively. He went on to complete a fellowship in pediatric orthopedics and spinal surgery at Texas Scottish Rite Hospital in Dallas in 1994. To keep abreast of the latest science and research, Dr. Keppler belongs to a number of professional organizations, including the American Association of Hip and Knee Surgeons, American Academy of Orthopaedic Surgeons, North American Spine Society, and the American Orthopaedic Society for Sports Medicine. A consultant to orthopedic device developers, Dr. Keppler is involved in implant and instrument design and ongoing clinical research. Dr. Keppler is also the clinical surgical research adviser to the Joint Implant Surgery and Research Foundation and serves on the foundation's Tissue-Sparing Implant Study Group. Dr. Keppler has also been published in dozens of peer-reviewed publications over the past 30-plus years and frequently presents on various orthopedic topics, including joint replacement, spine surgery, and sports medicine. Dr. Keppler is part of St. Vincent’s Medical Group as well.